It was a year ago this week that I succumbed to a weakness. After years of abstaining, years of not even thinking about it or craving it…I bought a jar of Nutella. Sure I told myself it was only because it was World Nutella Day and I was only going to bake with it, give away the goodies and nothing more. But I cracked open the jar, pulled back the seal and as soon as that hazelnutty, chocolatey oh my goodness-goodness hit my olfactory senses….well, I was done. I haven’t been able to walk by the Nutella aisle at the grocers without scooping a jar off the shelf. On my really good days I actually run past the aisle, but not before I spy the row after row of that short stubby little jar out of the corner of my eye. Even as I stand in the aisle face to face with Nutella, I argue with myself and try to convince myself that I am only buying it for Sean, who has never tasted Nutella (a horror, I know). Unfortunately for Sean, he still hasn’t tasted this chocolate spread. I….ummm..keep eating it all before he even gets to see the jar. There, I said it! It didn’t just magically disappear! No, I do not have little elves that eat the Nutella from my cupboards! It was me! But I digress..and so here we are again. It’s been three weeks and two days since the last jar was emptied and I’ve managed to keep it that way. Until today. But only because February 5th is World Nutella Day! Honest! I’m not even gonna touch the stuff! Well maybe just a spoonful. Need to make sure it’s good for baking. And obviously I gotta taste what I bake. That’s just the rule. 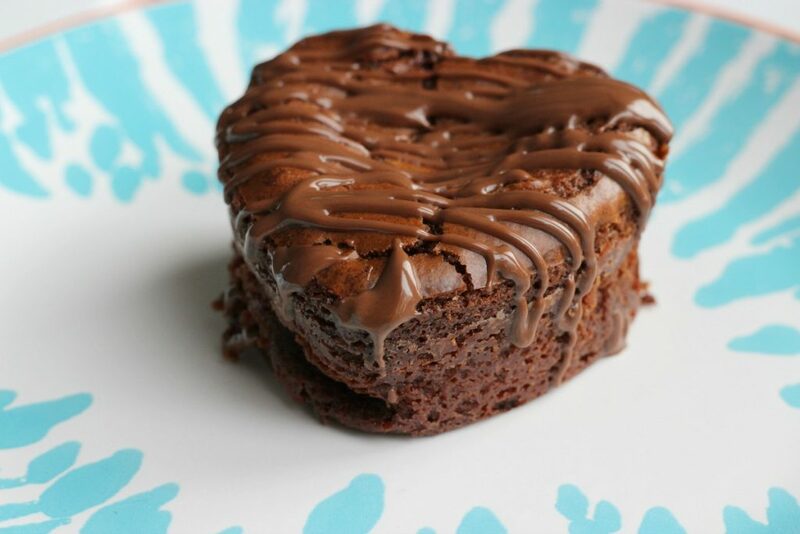 Last year I whipped up these cute heart shaped Nutella brownies. Then for a holiday party Adriano whipped up a few nutella french toasts. So what will we be baking this year? Well, you’ll just have to wait and see as the actual baking won’t take place until the weekend. Hopefully the jar sitting in the bottom shelf of the third cupboard to the left of the sink doesn’t disappear.